Countdown of Joint Video Image Software Giveaway from Digiarty, Last 3 Days! Digiarty Software is hosting a large worldwide software giveaway campaign, with several famous video and image software companies being invited in. Multiple easy-to-use image/video software such as WinX HD Video Converter Deluxe, GreenCloud Printer and Zoner Photo Studio 14 HOME can be downloaded for free before July 6. Digiarty is offering an exciting opportunity of getting 5 award-winning video audio software through an extended social media campaign. 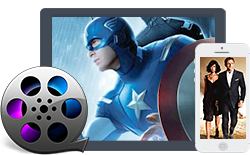 DVD Author, DVD Player, iPhone Ringtone Maker, Blu-ray DVD to iPad Ripper and HD Video Converter are bundled into one Summer Gift Pack for giveaway. All Digiarty's Facebook fans can take advantage of this exclusive offer without reservation before July.10. These days, winxdvd.com is giving away considerable numbers of Advanced SystemCare Pro 5, Ad-Aware Personal Security, EaseUs Partition Master Pro, Kingsoft Writer Std 2012, etc for this summer holiday. Complete but free PC security and speedup solutions are provided, with the permission and support of the respective software owners. To celebrate this summer holiday, Digiarty Software launches a major league giveaway from today, June 15, after successfully joining hand with seven famous global software companies. Totally 10,000 copies of Advanced SystemCare Pro, Ad-Aware Personal Security, WinX HD Video Converter Deluxe and other well-known software will be donated. Recently, Digiarty Software, a worldwide leading multimedia software developer, released a completely new free product – WinX YouTube Downloader. This 100% free YouTube video downloader is made to help users download FLV MP4 WebM YouTube online videos quite easily. Today, Digiarty Software announced in public the voting result of the second giveaway gift of its "Hello Summer!" special offer. WinX Blu-ray Decrypter functioning in family-use Blu-ray decryption and backup is therefore presented to global Windows users for free from May 21 to 25. Giveawayoftheday.com scheduled a 3-day giveaway from May 18 to 20, making WinX HD Video Converter Deluxe unconditionally available to all users. Thus, everybody has the priority to get three-in-one software for free to covert HD videos, burn DVD and download online YouTube video, etc. Digiarty, the sponsor of the big public Hello Summer! Special Offer effective from May 10 to May 25, now invites all of you to cherish the last five days to get $45.95 WinX DVD Ripper Platinum for free. In addition, everyone has the right to decide the next giveaway gift among DVD Copy Software, Blu-ray Decrypter and HD video converter. Today is the lucky day for all Windows and Mac users to embrace the first "Hello Summer" Special Offer sponsored by Digiarty officially. Through the 10-day giveaway of WinX DVD Ripper Platinum (Latest Version) from May 10 to May 20, the chance to get the best personal DVD backup software well known for its fast ripping speed for free has finally arrived. Recently, two award-winning products of Digiarty Software, WinX DVD Copy Pro and WinX DVD Ripper Platinum, were both upgraded. Upon this, Digiarty warmly reminds all existing users to download the latest version with new features and cordially welcomes new users to try these two to copy DVD to DVD/ISO and rip DVD to iPhone, iPad, Android, AVI, MP4, etc for personal backup. Digiarty Software Inc. today announced full support for the recently released DVD Mission: Impossible - Ghost Protocol. Therefore, its master DVD ripping software – WinX DVD Ripper Platinum has been made completely possible to rip and copy the latest DVD of the 4th movie of the Mission Impossible series for personal use. WinXDVD.com today launched a 75% off DVD Video Software Pack Discount to both old and new customers worldwide lasting until May 20. This 4-in-1 software coupon pack is highly recommended for its versatile video conversion/DVD backup function and considerable discount. Digiarty Software bids farewell to 2012 Easter festival with a 5-day Easter Giveaway and coupon from April.12. WinX DVD Copy Pro was formally announced as the open-to-all gift mainly for DVD to DVD ISO copy and clone. Today, Digiarty's Easter giveaway wheel switches to the latest and full version of WinX HD Video Converter Deluxe. This is a golden chance to get all-in-one video conversion software from Apr.6 to Apr.10 for MKV M2TS AVCHD AVI MP4 video conversion, video to DVD burning, etc. Today, Digiarty Software finalized and announced 2012 Easter giveaway that will start from April 1 and last for half a month. Three mysterious Easter gifts for DVD Blu-ray Video backup will be donated in succession, each being given away for only 5 days, until the expiration date April 15. Digiarty announced full support for the third-generation iPad once it was released by Apple officially. A series of profile options for the new iPad have been added into Digiarty's DVD ripper and video converter software. From now on, the New iPad 3 owners are included in the group of enjoying HD videos and DVD videos on the New iPad's Retina Display. Windows8Beta.com announced an unlimited exclusive giveaway as a celebration for its Facebook page that has reached 100,000+ fans. Unlimited license keys of DVD Bluray Backup Software Pack, each worth nearly $100, are unconditionally provided to all before Mar.1, 2012. Recently, Digiarty Software upgraded WinX DVD Author to help users download and burn YouTube video to DVD at one go. This free DVD creator now supports creating DVD with chapters, menus and subtitles from AVI, WMV, MPEG, MP4, H.264, MKV, YouTube FLV video, etc. Digiarty Software Inc. announced the Valentine's Week Giveaway taking effect from today to Feb.20, 2012. This one-week giveaway makes WinX HD video converter & DVD creator completely free available to all PC and Mac users to convert and burn any videos to DVD discs to make homemade DVDs. WinX DVD Ripper Platinum was Made Faster Today! Digiarty Software Inc. upgraded one of its backbone software – WinX DVD Ripper Platinum for the first time this year to make it faster. The upgrade of this DVD backup tool further confirms its speed superiority for ripping the latest released and upcoming DVDs in February such as The Twilight Saga: Breaking Dawn, etc. with higher efficiency. An opportunity of getting fast but free Blu-ray backup software is being provided by the developer, Digiarty Software. Everyone is invited to join in Snowman Game and win one of the 10K full version license keys of WinX Blu-ray Decrypter before Jan 20, 2012. After-Christmas Promotion: WinX DVD Copy Software, 70% Discount! Digiarty Software, Inc launched an incredible after-Christmas promotion at the very end of year 2011. Correspondingly, everyone can enjoy at least 70% holiday discount for a single piece of DVD copy software. More favorable New Year Discount Pack is also available. Digiarty Offers a Dedicated Way to Clone Latest Blu-ray Movies Rise of the Planet of the Apes, etc. Digiarty Software Inc. offers a dedicated yet affordable way for all users to back up and clone latest Blu-ray movies Warrior, Kung Fu Panda 2, Rise of the Planet of the Apes, etc. Everyone can enjoy its software on sale from the end of 2011 to the early period of 2012. WinX branded DVD video converter is discounted by Digiarty Software to celebrate New year 2012 for converting DVD to AVI, MP4/H.264, MPEG, iPhone 4S, Android, Tab, etc. The discount is also coupled with a "Buy One DVD Ripper, Get One Blu-ray Decrypter Free" holiday promotion. From today, the originally $49.95 WinX HD Video Converter Deluxe is free available from the ongoing Xmas Giveaway held by Digiarty Software Inc. This is a rare chance to get free video converter, DVD burner and YouTube Video Downloader simultaneously before Jan.5, 2012. Digiarty Software, a large provider of DVD Blu-ray backup / video conversion software, announced today the 1st Christmas surprise. Specifically, it renders WinX Blu-ray Decrypter given away as the free gift and provides a variety of real prizes to win through a little "Collect Christmas Gift Game" for all Windows/Mac users. Digiarty Software, Inc. today announces a new Academic Discount Program for schools and educational organizations. Any accredited colleges, universities, academic organizations and non-profit institutions can take advantage of the discount pricing to save 90% and even more on the company's award-winning products for educational use. Immediately from this moment, WinXDVD will provide an exclusive discount for education. Any proven student or teacher is entitled to get any main pro-education product at a favorable academic pricing - 50% off. Major Upgrade in WinX DVD Ripper Platinum – 3 Copy Modes Now! The acknowledged No.1 fast DVD ripper software - WinX DVD Ripper Platinum has been upgraded today to have three brand-new DVD copy modes. The latest version 6.3.5 now supports main content copy, full ISO image copy, full title copy as well as ISO image loading. Digiarty Software, a professional software developer who concentrated on DVD and videos, recently updated their flagship product – WinX iPad Video Conveter to support the second generation of iPad - iPad 2. It means that with this upgraded iPad video converter, watching YouTube Flash Video (.flv files) will be a piece of cake. This is very cheering for those Apple iPad 2 owners. Digiarty, a dedicated iPhone game developer on Apple App Store, today announced that newly released iPhone iTouch TD game - PetsWar is available for $1.99. By cutting off two-thirds of debut price (initially $5.99), this promotional discount is time-limited for 2D TD game lovers on all models of iPhone, iPod touch, iPad. Digiarty today released PetsWar 1.0 on Apple app store, a new 2D TD game for iPhone, iPad and iPod touch which is ready to surprise solid TD game fans seeking tougher challenges. The game charges players with assigning and matching an army of combat-ready pets to effectively resist the monster invaders. 30+ technically impressive levels with 18 skillfully designed scenes perfectly keep the mental challenge of good strategy games. Digiarty Software today launched "Win Free Copy" special offer. 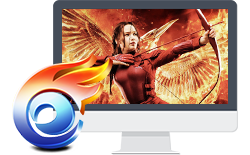 Users can free get the company's award-winning DVD burner software - WinX DVD Author worth $49.95 by simply sharing the product page on Facebook or Twitter. With this program, no matter experienced or novice can effortlessly create and burn homemade video DVD with chapter menu and subtitle. Digiarty Software today released WinX DVD to iPad Ripper 4.5.0, an upgrade to their award-wining DVD software across Apple platforms and devices. The latest version is strengthened with Advanced Blu-ray ripping engine, featuring No.1 fast speed to rip and convert both homemade and protected Blu-ray to iPad, iPhone, iPod and Apple TV. Now it is given away to all Windows users until Jan. 31. Digiarty Software today announced 60% holiday discount and "Buy One Get One Free" special offer to promote their award-winning software WinX DVD Ripper Platinum and WinX HD Video Converter Deluxe. This promotion is available before Jan 31, 2011, oriented to both Windows and Mac users. Besides, the company is also giving away WinX DVD to iPhone Ripper on their official Facebook page as New Year gift to thank their customers. Digiarty Software (www.winxdvd.com) completely rebuilt their flagship product WinX DVD to iPhone Ripper with Blu-ray disc supported and renamed it to WinX DVD to iPhone Ripper. Now they are giving away this upgraded software as New Year's gift to all Windows users. This giveaway is valid until Jan 10, 2011. WinX DVD Ripper Platinum today was chosen as BrotherSoft Editor's Pick - one of the globally biggest Download site. This was another crown of laurels earned by Digiarty. Meanwhile, unprecedented HUGE discount for 2010 Christmas is also on the way - WinX DVD Ripper Platinum regularly $45.95, now $35.95 & Free Get DAPlayer as Christmas Gift. The company cuts off the price of their award-winning software WinX DVD Ripper Platinum to $ 35.95 (originally $ 45.95) and offers a Blu-ray DVD/Video playing software for free along with the purchase. Furthermore, adding $5 only, customers can get another Christmas gift "iPhone Video Converter + DAPlayer" and share with friends. The promotion is valid before Dec.29. Digiarty Software, Inc. (www.winxdvd.com) today raised the curtain of the 2010 Christmas coupon by offering a 60% discount on their award-winning Blu-ray/DVD/HD video/iPhone/iPad software to thank their esteemed customers. This promotion is oriented to both Windows and Mac users. On top of the heavy discount, users can also get WinX software as Christmas gifts to share with friends. The promotion will be valid until Dec. 29. Digiarty Software, award-winning DVD/Video related multimedia software developer (www.winxdvd.com), today launched Early Thanksgiving Gift 2010 by Cutting off a quarter of the price of its leading products - WinX DVD Ripper Platinum meanwhile presenting all-in-one WinX HD Video Converter Deluxe as gift. This time-limited discount and Thanksgiving Giveaway have already launched and will expire on December 30th, 2010. To celebrate the Thanksgiving Day, Digiarty Software announced Thanksgiving Discount offer - Buy DVD Ripper for Mac, Free Get Mac HD Video Converter. Mac users can get the two DVD ripper and video converter for only $35.95 (bundle price $79.90) to rip all DVDs to iPhone, iPod, iPad, Apple TV, Sony PSP, and convert AVCHD, M2TS, MKV videos for smoothly playback on iPhone, iPad, iPod, PS3, Xbox 360, QuickTime Player regardless of format compatibility. As one of the fastest growing multimedia software providers, Digiarty Software (www.winxdvd.com) announced the new version of WinX DVD Ripper Platinum v6.0 with totally rebuilt brand-new frame work to maximally conform to common usage. The remarkably improved DVD ripping speed and image quality delivers users the best solution to rip and backup DVDs. To celebrate the upcoming Halloween 2010, the company plans to give away this upgraded DVD ripper (regularly $39.95) from Oct 21 to Oct 28 as Pre-Halloween gift. After Game Center, What Will Lead Next Revolution - Share Center? The designing conception of Game Center aims at building a new social gaming network between you and your friends. Since the first step Apple moves forward is sharing gaming experience, you may have learned that, possibly in the release of iOS 4.3 or iOS 5, Apple will usher Media Center or Share Center alike features, which allows you share all sorts of medias with your intimates or social group online, like your self-made HD recordings, pictures by iPhone, iPod touch or a songful music. Though some models of Blu-ray Player and PS3 console support MKV video, you are not allowed to play and watch Matroska upon your iPod, iPad, iPhone, PSP, etc. However, to enjoy versatile HD MKV video on new iPod touch 4G, you can convert MKV to MP4 (with strictly bound preset settings) which is supported by iPod, as well as iPhone, iPad.